A lack of a U.S. credit history keeps millions of immigrants in the United States from being eligible to rent or buy a home or other lending decisions. 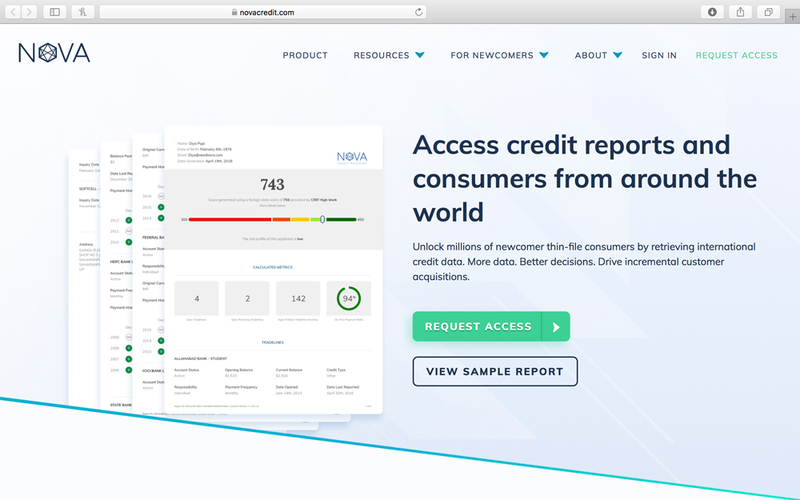 Nova accesses credit history from around the world and normalizes it to US standards, unlocking new consumers for property managers, owners and lenders, and new futures for immigrants. 2019 Moderne Ventures©. All rights reserved.